The economy is a mixture of subsistence hunting and agriculture, an industrial sector based largely on oil and support services, and government spending. Oil has supplanted forestry as the mainstay of the economy, providing a major share of government revenues and exports. Natural gas is increasingly being converted to electricity rather than being flared, greatly improving energy prospects. New mining projects, particularly iron ore, entered production in late 2013. 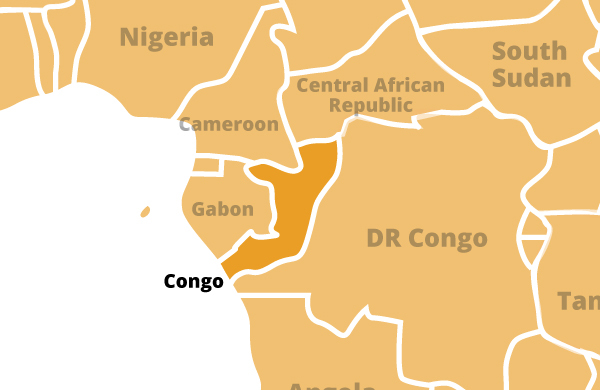 The Congo is a poor country by Western standards. It is far from the poorest country in Africa, however. Outside of the cities, houses are commonly built out of mud brick and are in constant need of repair. Many people can afford corrugated zinc roofs on their homes. Those who cannot use thatch. Buildings in urban areas are usually made out of concrete blocks. There are several steel and glass office towers in Brazzaville, though they were severely damaged by the civil war in 1997.